Copenhagen was the big finale of our Europe travels, and to finish like we started, we met up with Pippa! We also asked our friend Ollie to join us, which was really cool and I'm sure Sam was relieved to finally have some male company. We took a walking tour all across the city (our guide was Elias and he was great). 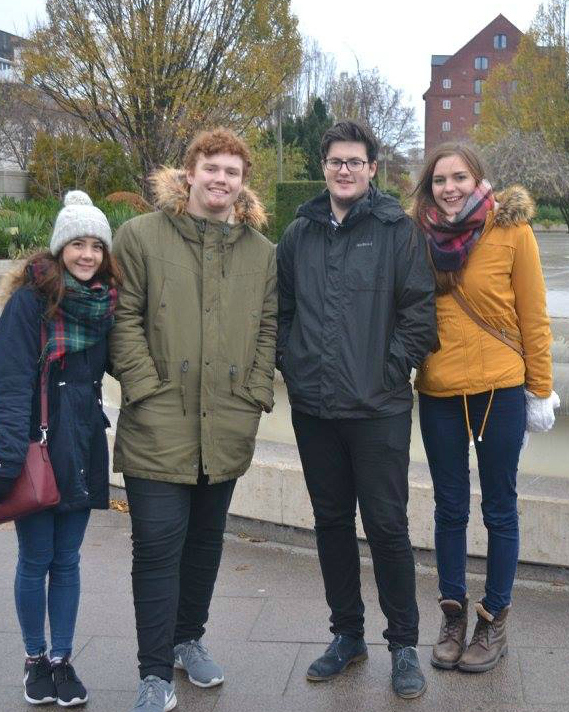 We found out about the history and culture saturated within the beautiful city, and my feet were absolutely going to fall off from the cold. It snowed shortly after which made being freezing almost worth it.There were picturesque Christmas markets every few feet you walked which made me feel incredibly festive. In the evenings, we headed to a board game cafe recommended on the tour and had a few drinks in the hostel's trendy basement. I'm so grateful our friends were there to celebrate the end of a perfect adventure! Also, Pippa has a really great blog, she's a lot more artistic and creative than me so check it out here! Previously, we visited Berlin. If you want to know more, check out my Interrail Guide!